Hiking holidays on the Jaga Alm in Zell am See! As soon as you set foot outside you’re already on one of the hiking trails. Schmittenhöhe up to 2,000 m - 2.5 hours walk. Zell am See and the nearby Hohe Tauern National Park, the last alpine nature reserve in the Alps has a lot to offer in terms of natural beauty and wonderful hiking trails. Drive to Bramberg and then take the national park taxi into the Habach valley to the Alpine hut, Enzianalm. From there you can follow wonderful tours to the mountain glaciers that are still visible or look for emeralds and crystals. Our tip: a typical Austrian cheese snack on the Alpine hut, Moaralm. Drive to Krimml and then take a minibus past the Krimml waterfalls, the highest in Europe, and up to the Tauernhaus. From there you can embark on some beautiful tours and in only … hours you can even be in South Tyrol. Drive to Hollersbach valley and then take the national park taxi to the mountain guest house, Senningerbräualm. From there enjoy the wonderful mountain pastures and try a typical cheese dish from the Pinzgau region. 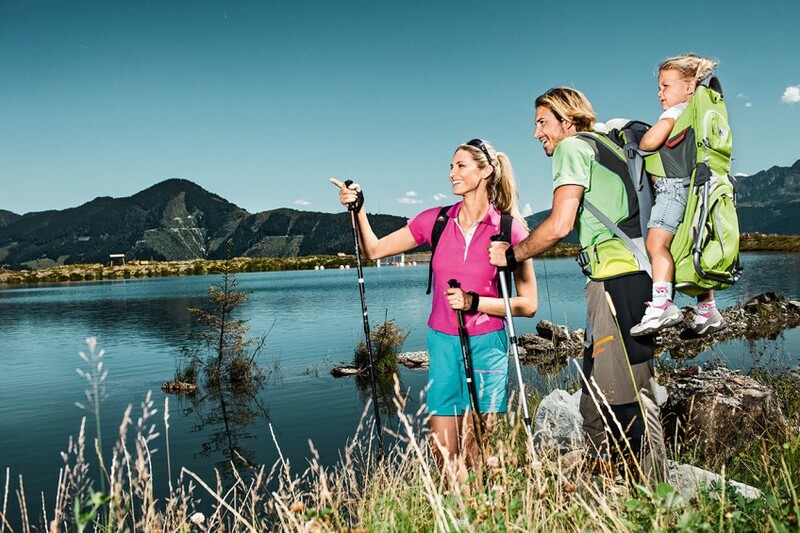 All the hiking tours in Hohe Tauern National Park are led by professional national park guides.